Beginning with Doug Jones’s improbable victory in an Alabama special election last December, however, there has been a narrow path to a Democratic Senate. Trump’s sagging popularity damaged his party’s Senate prospects in states that only marginally supported him in 2016, and a combination of poor GOP candidate recruitment and stronger-than-expected Democratic incumbency made a GOP sweep of the genuine pro-Trump states more and more problematic. Meanwhile, surprisingly strong Democratic challengers in unlikely states like Tennessee (Phil Bredesen) and Texas (Beto O’Rourke) boosted Donkey Party optimism even more. As voting approaches, however, a Democratic House and a Republican Senate next year is again the most likely outcome. FiveThirtyEight’s sophisticated model based on polls, fundraising, political history, and historical trends gives Republicans a 7-in-9 (or 78 percent) chance of maintaining control of the Senate, while Democrats have a 3-in-4 chance (or 74 percent) of retaking the House. Yes, probabilities are far from certainties, as Hillary Clinton could tell you. The Cook Political Report rates no fewer than nine Senate races as toss-ups (five are seats currently held by Democrats). If Democrats swept all the very close races as they did in 2012, they would definitely win the Senate. But if Republicans won all the toss-ups as they did in 2014, they could boost their majority by five seats. In the House, Cook shows 31 races as toss-ups, though they are much more unbalanced, with 29 being in districts currently held by Republicans. But some late breaks for Republicans could stem the Democratic tide. 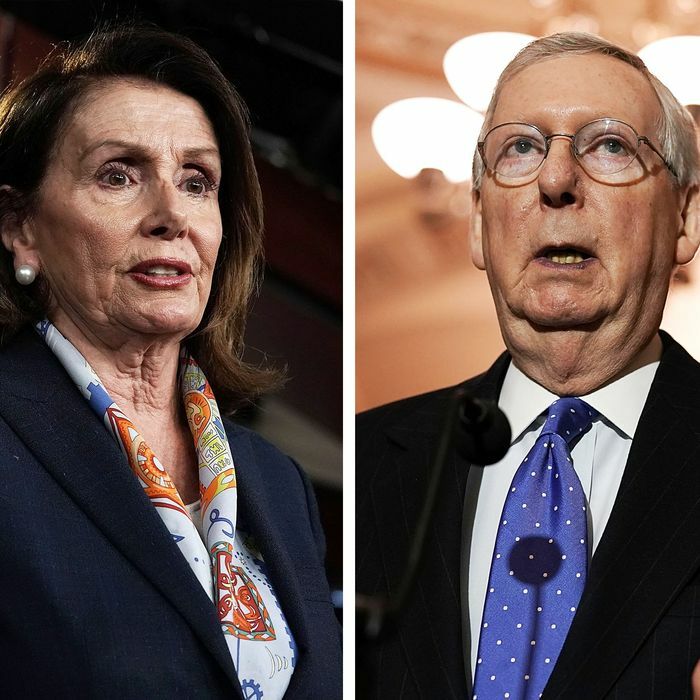 (1) Divided government again: a House Democratic takeover would end a brief two-year Republican “trifecta” of control of the Executive and Legislative branches of the federal government. But divided government is hardly a novelty: it’s been the situation for 28 of the last 38 years. We will again see the Speaker of the House and the vice-president alternating like dueling puppets in standing and sitting during the president’s State of the Union address. (2) No more partisan legislation utilizing the budget process. The Republican “trifecta” over the last two years enabled the GOP, in theory at least, to pass party-line legislation bypassing the Senate filibuster by using special budget “reconciliation” procedures on bills involving taxes and spending. It is how Republicans enacted their 2017 tax cut bill. But it failed them in the extended effort to repeal Obamacare because they could not keep their Senate caucus together. Divided government will take that weapon (which Paul Ryan once called “a bazooka in my pocket”) off the table entirely. (3) Compromises to keep the federal government operating. Thanks to the Senate filibuster, regular appropriations bills already require significant compromises. But a Democratic House would mean Republicans no longer control access to the House floor or appointment of House as well as Senate members to conference committees to craft final bills. (4) Divided control of congressional investigations. A Democratic House would most definitely deploy the investigatory powers of multiple committees to dig into and expose the rich, pungent soil of corruption and incompetence in the Trump administration. A Republican Senate will counter those efforts as much as possible, in a war for public attention that may become dizzying. Republicans would maintain the Senate’s power to confirm Legislative and Judicial branch nominees. There would no longer be any need for the Senate to rush confirmations — including, were it to fail, the Supreme Court nomination now held by Brett Kavanaugh — through a lame-duck session between November 6 and Janaury 3, when the new Congress is sworn in. Since the House has no role in confirmations, Mitch McConnell would again be the ruler of that process. We will not, then, witness the sort of two-year gridlock over judicial nominations we might have witnessed if Democrats won the Senate. So actually making net Senate gains this year could not only strengthen Mitch McConnell’s hand in the next Congress, but increase the odds that Republicans can prevent Democrats from pulling off their own trifecta in 2020. What happens on November 6, hypothetically, could help determine whether a newly elected President Warren or Harris or Gillibrand or Klobuchar or Winfrey — let’s limit the possibilities to just women at this point, as a gesture toward long-thwarted justice — will struggle to get her first Supreme Court nominee confirmed.